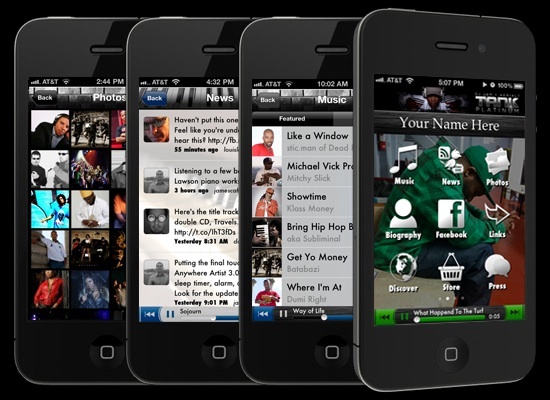 Promote yourself to over 500 million iPhone, iPad, and iPod Touch users with the Anywhere Artist app platform. Build a quick, customized, app with the easy-to-use Anywhere Artist Portal. Share music, news, show dates, photos, videos, and much more. Are you a record label or artist looking to get a FREE app? Are you a destination looking to boost tourism or a production studio with a TV show or movie you want to promote? Get a quote for a fully customized app today.